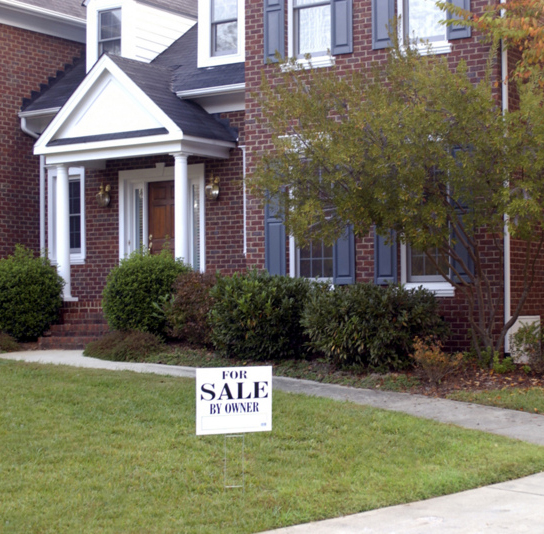 Selling a house is no easy task. From the hassle of cleaning to the stress of negotiating, the process can be long and tedious. However, getting your home in tip-top shape for showing doesn’t have to be a chore. The key is in the details. One such important detail is the fireplace. As it’s often the focal point of your living room, the state of your fireplace can have a huge effect on the overall design and feel of the room. 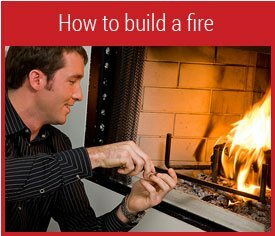 Check out these simple tips for getting your fireplace ready for your next showing. 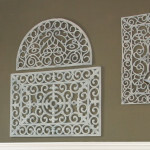 Essential to any home décor project is creating balance in your space. With your fireplace, you will need to balance its size, prominence, colors, and decorations so you don’t over or underwhelm your room. Plus, a balanced design and decoration will be pleasing to the eye and make your space feel more welcoming and put together. Some simple ways of striking this oft-elusive balance are through texture and accessories. For example, you can use plants, vases, candles, paintings, and a host of other objects to frame your fireplace. You can go for a mirrored approach- having similar-sized (or duplicate) objects on either side of the mantle for a 1:1 ratio- or you can use different textures and multiple items in an asymmetrical combination to pull it all together. Experiment and play around with what you have. You should recognize balance when you see it- it just feels right. Color is a wonderful way to add personality, atmosphere, and balance to a space, and the fireplace is no different. For a lighter, airier look, use white or light, neutral tones. Painted brick is a striking element of home décor and the texture will add interest without overwhelming the viewer. Besides painting, you can use your accessories to add splashes of color for a more a dramatic effect. Use brightly colored vases, bottles, or even plants to spruce up the mantle. Be sure that your color scheme does not clash with the rest of your living room décor. You want the fireplace to be a cohesive, if not eye-catching display that will boost the presentation of the entire space. 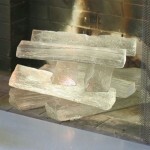 Next, choose your fireplace mantel accessories carefully. The objects you use to populate your mantle and fireplace are key to directing the look and feel of the entire space. What kind of look are you going for? Is the room itself more traditional, modern, classic, or eclectic? Depending on the décor of the room, your fireplace accessories should complement and enhance that design. 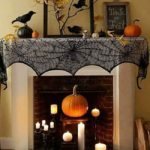 Some interesting ideas for fireplace accessories include mirrors, vases of all shapes and sizes, shrubs, flowers, trees, branches, glass bottles, and even driftwood or seashells. Practically anything can be used in home décor—it is simply a matter of how you use it. Mirrors are an excellent way to add the illusion of light and space to your room. Vases can be mixed and matched in style, color, and size, for an interesting arrangement on the mantle, and small trees and shrubs can fill that dark void in the fireplace itself (if you aren’t using it). To keep your plants vibrant and healthy all year-round, you can place small grow lights around the fireplace to promote growth and prevent your display from getting dried out and droopy. Again, experiment with different items and pay attention to balance. Finally, seek cohesion in your design as you decorate the fireplace. You want the fireplace itself to look and feel balanced and inviting, but you also want to make sure it goes with the rest of the room. By balancing the weight, colors, and textures of the fireplace with the living room, you will succeed in creating a dramatic and beautiful space that will surely impress prospective buyers. Nina Hiatt researches and writes articles to help people find balance and beauty in their personal space through landscape and interior design. In her free time, Nina blogs about many of her interests, which include gardening and baking. Last updated by This Post at October 17, 2016 . 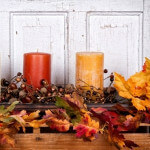 This is a guest post written for FireplaceMall.com. 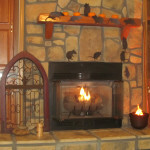 Do you have an interesting, informative article about fire, fireplaces, or chimneys? Click the "Contact Us" button and we'll take a look! Great post. The last part about ‘cohesion’ is so true. Many times I have worked on a project where the customer picked a fireplace that looks great in the catalog but doesn’t fit the room. Unless they are made of money, the get stuck with the eyesore. Cohesion is key! So true, Steven. Whether it is exterior architecture or interior design, cohesion makes all the difference.